The Pure Compressor Plug-in offers everything you would expect from a compressor, ranging from clean transparent subtle processing to classic heavy pumping. In addition to the common standard compressor controls for attack, release, threshold and ratio, Pure Compressor gives you hands on controls for every parameter needed to achieve the ultimate dynamics processing in any situation. 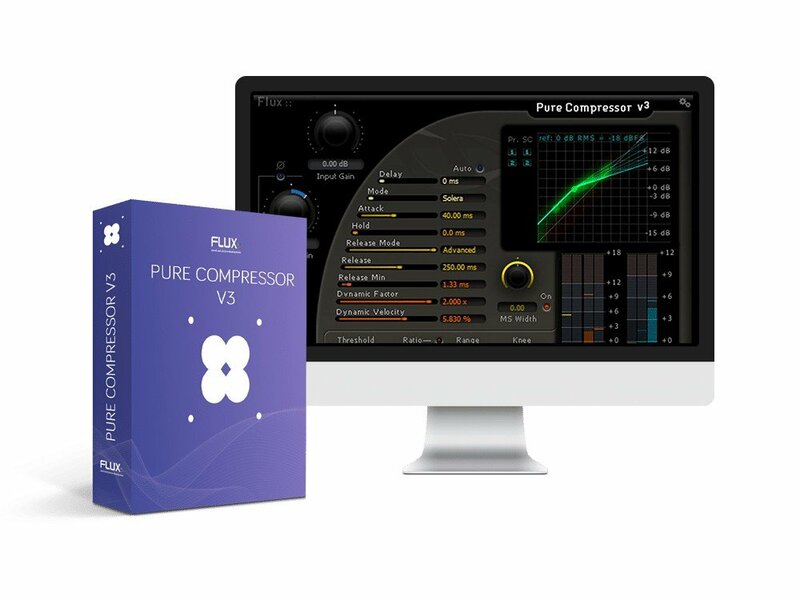 The Flux Pure Compressor is nothing short of amazing. It can function as a simple compressor, a dynamic sculpting ninja, and everything in between. This video demonstrates how it can be used to squash a drum bus without killing the fidelity. Flux makes top of the line plugins in VST, AU, RTAS, and AAX formats for DAWs. All their plugins work at sample rates up to 384K for the highest level of frequency resolution and response, and from mono to stereo, up to 8-channel (7.1 surround).